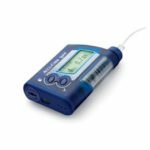 The Dexcom G5® Continuous Glucose Monitoring (CGM) System provides real-time glucose readings for patients with type 1 or type 2 diabetes every five minutes. 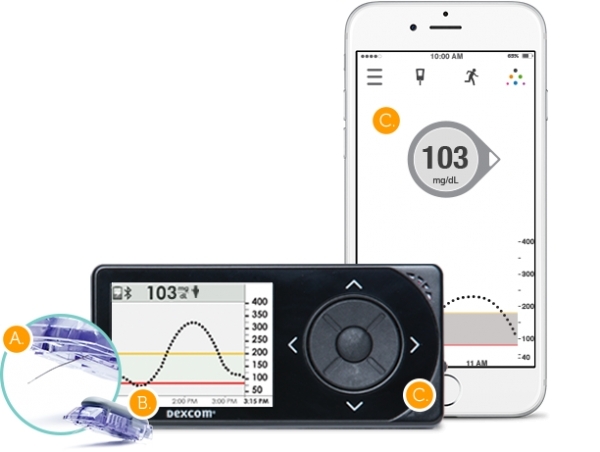 With Dexcom G5 Mobile, dynamic glucose data can be accessed and shared safely and conveniently anywhere, anytime to your smart device. 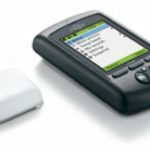 The Dexcom G5 Mobile is the only CGM system approved for adults and pediatric patients two years of age and older. 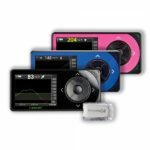 The only FDA-approved CGM System that lets you make treatment decisions without pricking your finger. 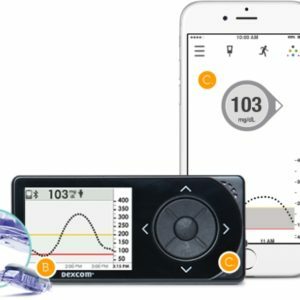 I have had the Dexcom Tx for just over three months. As of the last three weeks I’ve been able to control my blood sugars to the extent that I am no longer having any early morning lows.